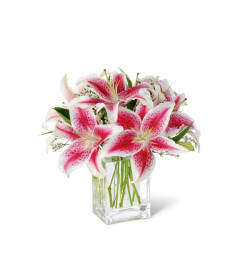 The FTD® Crimson & White™ Arrangement is a lovely symbol of peace and love. 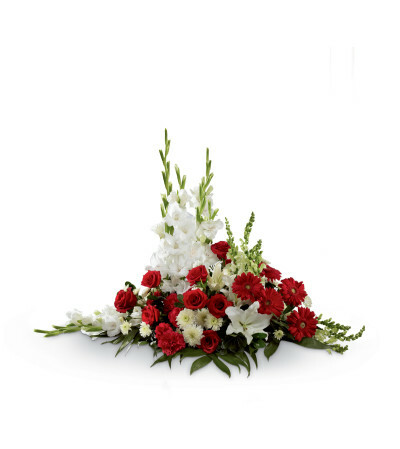 Red roses, carnations and gerbera daisies pop against the white blooms of gladiolus, snapdragons, Oriental lilies, and chrysanthemums. Accented with a variety of lush, vibrant greens, this exquisite arrangement is a beautiful tribute to the deceased. 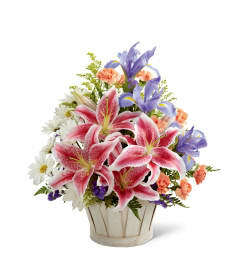 Mardi Gras Florist is a Lovingly Florist in North York. Buying local matters. Discover how Lovingly supports local florists. Copyrighted images herein are used with permission by Mardi Gras Florist.